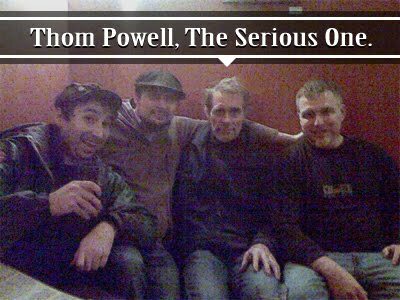 Full disclosure; Its no secret we are big fans of Thom Powell, but that doesn't mean we can't share what we think makes his blog unique. He seems to have fallen into a regular post on Monday evenings and we thought you would want to know. 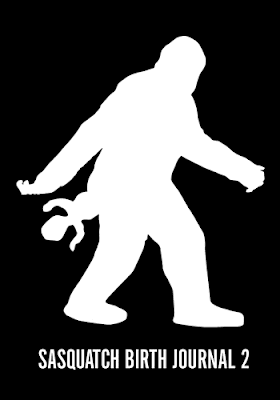 Since it's launch, Thom Powell's ThomSquatch.com has had the feeling that it is building up to something. We think it has a lot to do with the continuity from post to post. Unlike other Sasquatch blogs, Thom seems to be telling a continual tale. Similar to the classic Saturday serials, Thom leaves us on the edge of seats as to what he is going to reveal next. You don't have to take our word for it. Thom seems to be consistently posting on Mondays now, so make sure you tune in each week for something new. Below is a montage of his post so far. Consider the blurbs below theReaders Digest version of ThomSquatch. There are three basic approaches to gathering intelligence: electronic surveillance, inserting trained operatives (spies) into enemy camps, and gathering info from witnesses, captured agents and defectors. I guess if I'm going to be a good little scientists, even in my pursuit of such non-scientific matters as bigfoot, I must go where the path leads me, even if I don't like what I'm finding out. 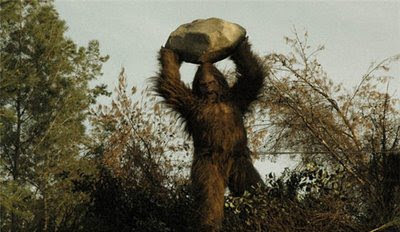 When it comes to my mission of gathering better bigfoot evidence, the problem with John Keel's path is that he leads me right into a friggin' brick wall. Plus read Loren Colemans contribution to the show at Cryptomundo. **UPDATE (1/31/11)** One of our astute fans provided us with a link with more info. Experts on the show will include: Drs. Jack Rink, Anna Nekaris, William Sellars, Jeff Meldrum, and Ian Redmond. Click on the ISU link below to get more info. This is what we do know. It will be on the History Channel on Feb 2nd, They shot most of the footage in a Canadian town named Harrington, and they are using a scene from Jack Links Jerky to promote the show. 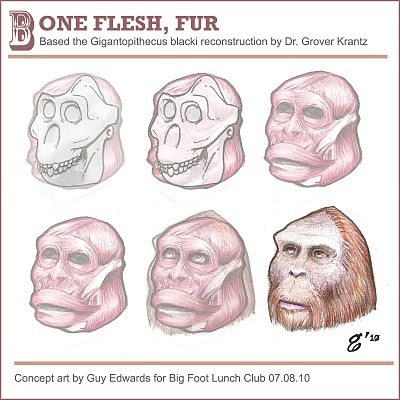 A team of top scientists come together with one goal to create the definitive guide to Bigfoot. Does the creature exist? And if it does where is it? And how can it survive without being detected? Using a new interactive map the team has plotted more than 10,000 Bigfoot type sightings from around the world. 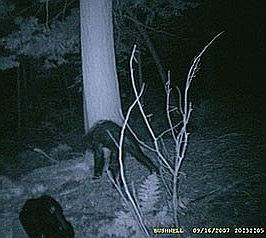 These sightings are of an unidentified creature which walks on two legs and is covered in a thick layer of hair. Many of theses sightings date back over 100 years. With their expert knowledge of the natural world they are able to dismiss nearly 90% of the sightings, but what emerges is a series of global hotspots that cannot be explained which indicate that something is out there. The team examines these global hotspots and searches for explanations including new theories that suggest we may have been looking for the wrong creature all along? In Ontario, Quebec, a local paper asked the Production manager about the show. 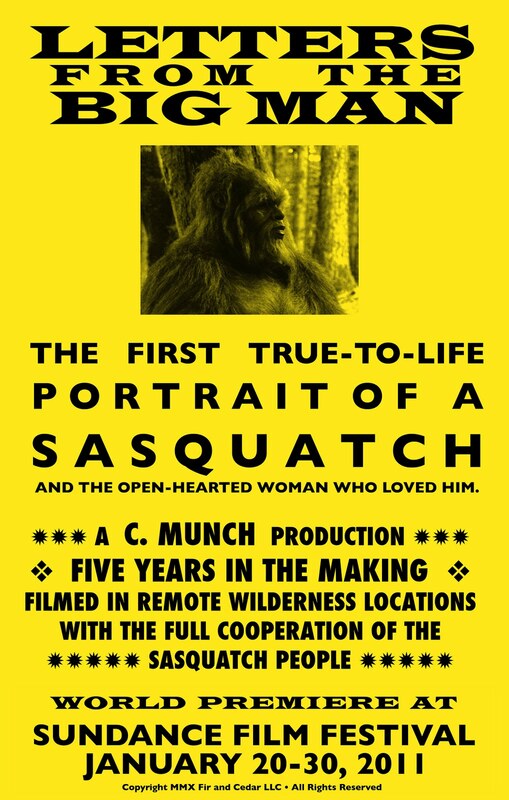 The documentary will focus on prehistoric times and will include discussion about "mythical" creatures such as the Sasquatch and Yeti. According to Helen Conlan, production manager for the United Kingdom-based company, Dangerous, the documentary will not make light of the myths and legends that surround the creature, but will instead explore the possibility that such creatures might actually exist. "We brought numerous experts from the United States, Canada and the United Kingdom together to research this," she stated in an e-mail interview. 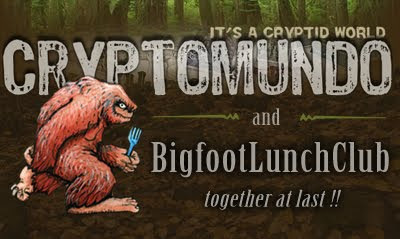 "Our goal is to retrace the steps of early man and shed some light of the legends that surround Bigfoot and the Yeti. I think the end result will be a very interesting and enlightening film." 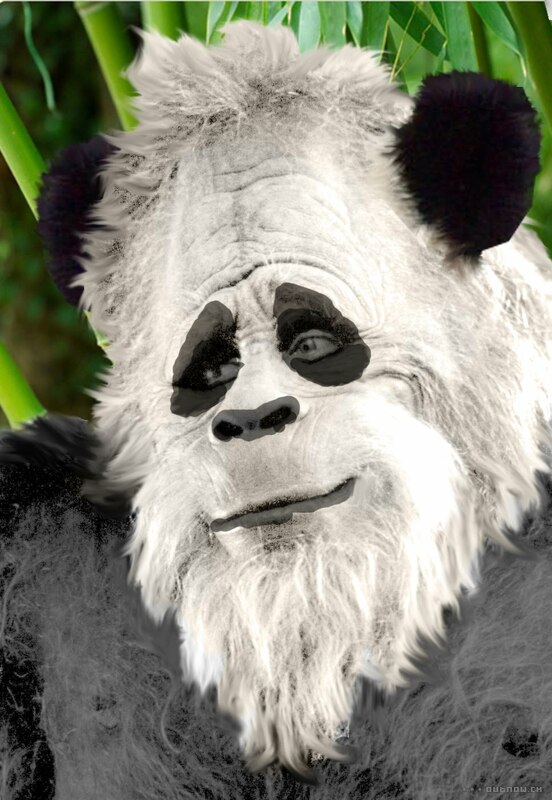 Conlan said the show will be called Bigfoot: The Definitive Guide and was co-produced with Handel Productions, one of Canada's leading producers of factual television and documentary programs. She said numerous experts on the subject were interviewed in an attempt to find a scientific base for Bigfoot. We can't wait to see what will make this show different than the other shows out there. Ontario Paper: Is Bigfoot calling Harrington home? Jerod Clapp at News and Tribune has filed a great article on Jeff Meldrums Speaking engagement at Indiana University Southeast. Overall he finds Meldrum's arguments persuasive. 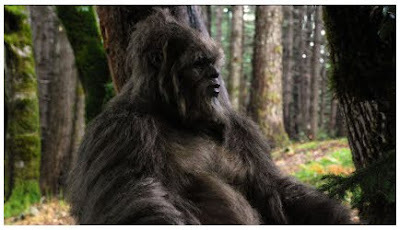 NEW ALBANY — Jeff Meldrum researches Bigfoot. But not like those television experts or online theorists. Instead of relying on sketches from sketchy eyewitnesses or blowing testimony out of proportion, he bases his research on evidence he thinks is compelling — footprints. “You need to rein in your imagination and really look at this from an objective standpoint,” Meldrum said. While some of the prints show striking similarities, he said some of them appear to be from different species altogether. 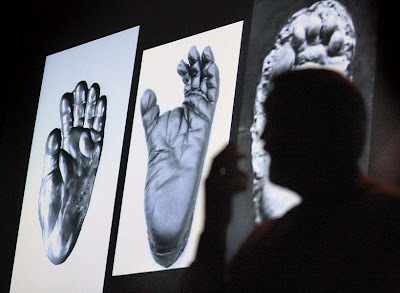 His presentation showing the East Asian Yeti seems to have completely different footprints from North American specimens. He said depending on where the prints are found, he believes the biomechanical adaptations demonstrated in the prints are distinctively built to function in the environments they come from. “Their feet are elegantly designed to move a large mass in those kinds of environments,” Meldrum said. An audience member asked why the body of such an animal had yet to be found and Meldrum answered that fossilization is a relatively rare occurrence. He said harsh environments can decompose even bone easily, and scavengers eat all but the hardest bones from carcasses. He said thousands of deer die annually in some parts of the country, yet few skeletons are ever found. Darnowski said after the presentation he wasn’t any more compelled to believe in Bigfoot, Sasquatch or the Yeti than he was before. But that’s because he already thought such creatures might exist. Darnowski said whether students believed in the animals or not, the approach Meldrum took to the research was something they could relate to in their studies. “I think the nice thing about it, especially for our students, is that it highlights things that are outside of our textbooks,” Darnowski said, “but it shows things they can use practically in other topics. They can make sense of things and see what he’s talking about. Meldrum said he’ll continue to research Bigfoot because he wants to continue finding new information. 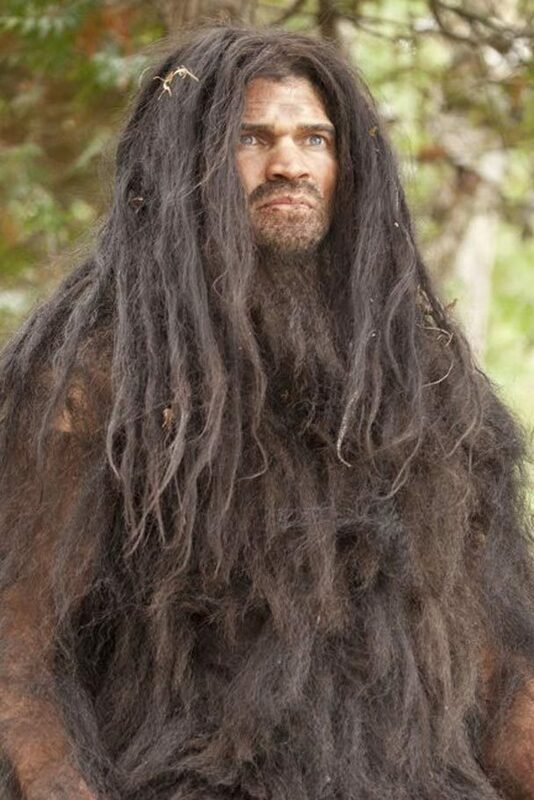 Bigfoot Hoaxer, Rick Dyer, Arrested for eBay Fraud. Rick Dyer will always, or at least SHOULD always be known for freezing a Bigfoot costume and some opossum guts in a freezer and claiming it was a real body. Click the following link to read our complete coverage of the The Frozen Bigfoot Hoax. 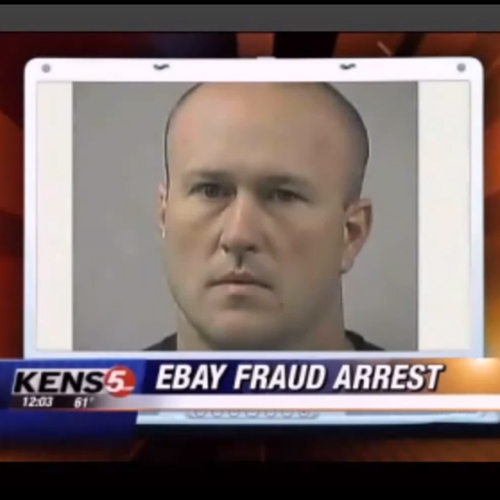 On Wednesday, January 26th 2011, Mr. Dryer was arrested for eBay fraud. read the full article from local news station, KENS 5. A San Antonio man is now facing charges, accused of defrauding four buyers on the popular online auction site, eBay. Alleged victims in Houston, Austin, Arizona and Canada reported that 33-year-old Ricky Dyer took their money, but never delivered the items, or delivered them in very poor condition. 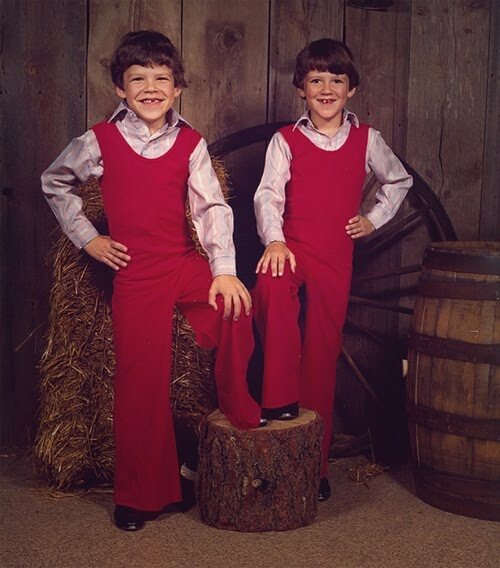 A purchaser in Canada claims he paid for two Corvettes that he never received. Elwood Nickason says he sent the money through Western Union to a San Antonio bank account in the name of Reyna Ochoa. According to the affadavit, Dyer was working with a female accomplice who police say still has not been caught. Investigators say they believe the couple travels back and forth between Texas and Tampico, Mexico. Dyer was arrested and released on Wednesday after posting a $10,000 bond. In our exclusive post, "Award Winning Director, Christopher Munch, Premiers "Letters from the Big Man" at Sundance," we mentioned the movie would start screening after the 20th (January 23rd to be exact). last night we received news from director, Christopher Munch. He wrote, "Our first screening last night went very well. Tomorrow we screen in a new venue." "What I have found so far is that people have been willing to come to the film with open minds and hearts. This is very pleasing. I will see how it goes over the next few days, and I am going to Nashville on the 27th to show it there." This year's film comes from a Sundance favorite: writer-director Christopher Munch, a three-time nominee for the festival's Grand Jury prize. (He remains best known for two of those: his debut feature, 1991's The Hours and Times, which imagined a tryst between John Lennon and Beatles manager Brian Epstein, and 2001's The Sleepy Time Gal, a lilting character study with Jacqueline Bisset's best screen performance.) Munch will appear in Nashville with his new film, Letters From the Big Man, a take on the Bigfoot legend that sounds closer in temperament to Terrence Malick than The Legend of Boggy Creek. Christopher Munch’s extraordinary films, all of which have screened at the Sundance Film Festival, use quiet restraint to dodge reductionism, allowing viewers to derive the meaning for themselves. Letters from the Big Man is no exception. In the breathtaking, remote wilderness of southwestern Oregon, Sarah Smith, a hydrologist, embarks on an expedition to conduct a government water survey. An intrepid outdoors woman, Sarah craves a solo journey so she can reconnect with herself and nature. Venturing deep into the forest, she intuits another presence. Gradually, the elusive figure reveals himself to be a Sasquatch, and the two interact tentatively. As their bond intensifies, Sarah finds she must take bold steps to protect the Big Man’s privacy, as well as her own. You can almost sense the rustling of trees and fresh air as Munch reverently explores the possibility of communicating directly with the ineffable mysteries in nature, fashioning a powerful metaphysical love story with resonance for our times. We can not wait to see a screening of the movie ourselves this weekend. When a director of Christopher Munch's caliber (there is probably not a director that respects his audience more) takes on the subject of Bigfoot, its like a gift. Below are a few screen shots from the film. 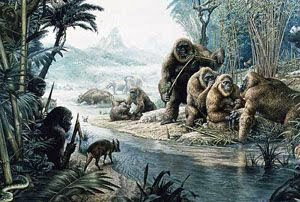 JD Adams of SalemNews.com writes a well researched, and well referenced article tying together several aspects of the Pleistocene Epoch, including geology, jaw bones and the Gigantopithecus. 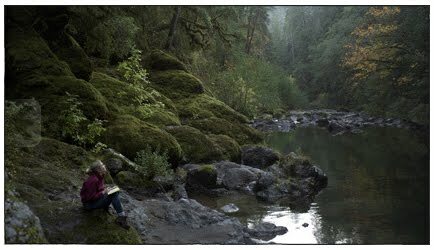 (SALEM, Ore.) - The Pleistocene Epoch spans a time from 2.6 million years ago to the end of the last Ice Age at 12,000 years Before Present. It is an immensely interesting period because of the existence of legendary, enigmatic creatures and people. We shall discuss the mysterious disappearance of the Pleistocene Megafauna, the changes wrought by Ice Ages, the massive Missoula Floods that scoured Oregon and Washington, how a meteor impact changed evolutionary history, and how the interaction of ancient human species with the towering Gigantopithecus, the largest primate ever to live on Earth, relates to our modern legend of Bigfoot. Human history corresponds roughly to the Pleistocene and is known as the Paleolithic Era. It is initially characterized by the use of tools made of stone, wood, or bone, advancing to more complex tools used in agriculture. The migration of humans out of Africa and into Asia, and subsequently into the North American continent, is thought to have been a contributing factor to the extinction of the large animals known as the Pleistocene Megafauna. During the last Ice Age, the lowering of the sea level created the Bering Land Bridge between what is now Siberia and Alaska. Paleolithic hunters brought their skills and techniques over from Asia, confronting a world of mammoths and mastodons, saber-toothed cats, and the giant bear arctodus simus, the largest North American carnivore, standing over 11 ft. on their back legs. These great beasts were examples of extreme adaptation, evolving exotic forms in the fertile land that lay south of the glaciers. During this time period, there is volcanic upheaval while glaciers recede and advance, shaping a constantly changing landscape of lakes and streams in valleys where giant bison and ground sloths grazed. These variations in climate would have severely stressed the Megafauna by altering food sources and locations. On other continents, the timetable for extinctions was somewhat different, but ultimately resulted in the proliferation of the smaller, smarter, more versatile animals similar to what we see today. Ice sheets covered large areas of the northern United States during the Pleistocene Epoch, including northern Washington, Idaho, and Montana. The release of an ice dam backing up a glacial lake flooded the Willamette Valley 400 feet deep! The raging torrent swept down the Columbia River drainage, permanently altering the landscape in the most significant event of its kind ever recorded in geologic history. Roughly 15,000 years ago, glacial ice grew southward into northern Idaho to block the Clark Fork River, creating 200-mile long Glacial Lake Missoula in western Montana. As the level of the lake increased, it eventually worked its way under and around the obstruction.